When we moved to the property in 2008, the only fencing was around the paddocks. The house was unsecured and surrounded by open countryside. In our first year, we started to put this right. 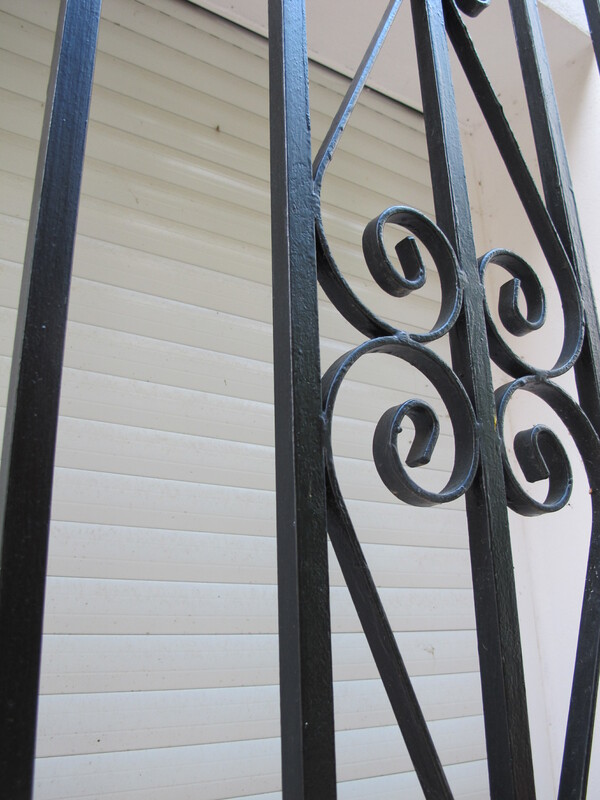 We installed black metal rejas to all opening windows, and fencing alongside the drive with gates at the top. Downhill of the house we erected more fencing and an access gate. Our nearest neighbour, Alberto, was robbed at 3pm on a hot August day, mid-week. 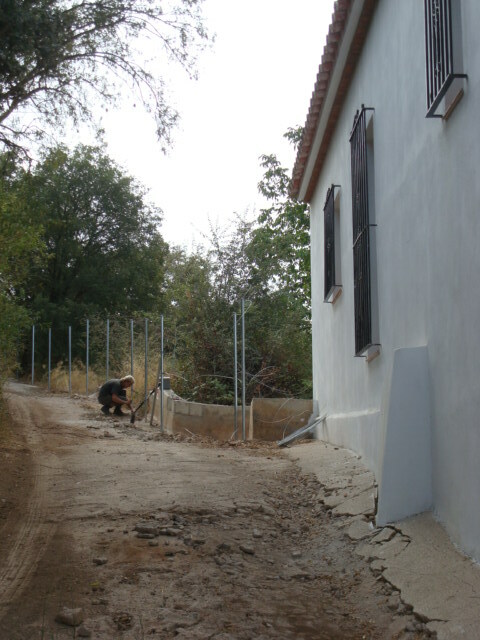 The house was unoccupied at the time, Alberto and his family were in Malaga. The robbers broke through a fence, got into his outbuildings and stole agricultural equipment and two small generators. The guardia civil visited us, looked at our security arrangements, and nodded in approval. We had seen nothing, the robbers chose their time well: in the middle of the afternoon siesta. Pablo, who lives at the top of the track near the village, was woken by the sound of a car roaring past his house, and spotted part of the number plate as the white van disappeared in a cloud of dust. Nothing further happened, except for the guardia’s request that we put up a security camera on our property, focussed onto the track, so all passing cars would be filmed. 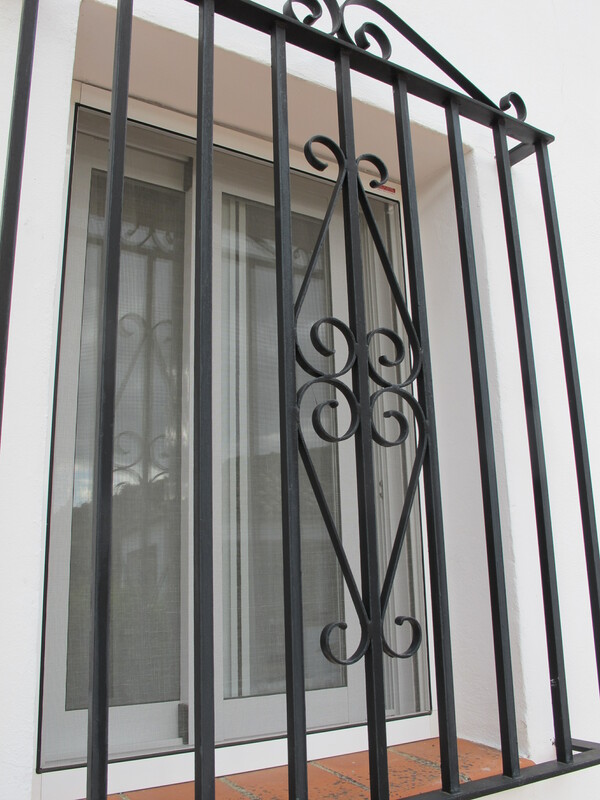 We had already decided against installing a burglar alarm at our property as we are so remote, it would take the guardia almost 30 minutes to answer any alarm call. Alberto arrived from Malaga and announced it was just as well he hadn’t been in the house as he would have shot the robbers. We smiled at this and thought no more of it. A week later, an English friend who lives near Ronda, told us a story about a village which had been plagued with robberies a few years ago. After six months of an almost continuous stream of break-ins, a man got up at dawn one day and noticed a local farmer driving by with his tractor and trailer, heading into the hills. When asked where he was going, he said he was going to shoot rabbits. 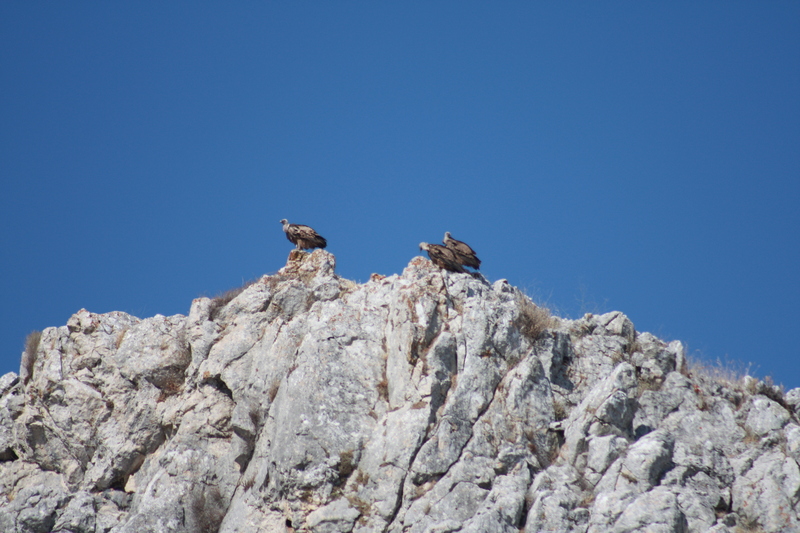 Village legend has it that the farmer shot the robber, put his body in his trailer and took it high into the hillside to leave it for the griffon vultures to find. There were no more robberies in that village. We live deep in the countryside, we are used to the sound of gunshot as locals hunt for rabbits and wild boar. We know most of our neighbours own guns. PS. The robbers of Alberto’s house were arrested, youths from a local village stealing things to sell for cash to fund their drug habit. 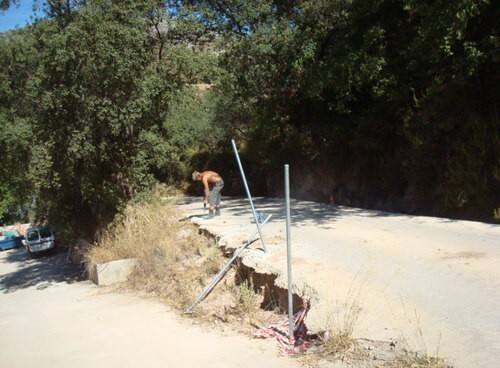 This entry was posted in Just Living and tagged Andalucia, rural robberies, Sandra Danby, Spain, spanish finca on June 25, 2013 by sandradan1.